Arakan Rohingya National Organsation (ARNO) strongly denounces and rejects the report, dated 6 August 2017, of the Maungdaw Investigation Commission headed by Myanmar Vice-President Myint Swe, a former military general. The report is “fundamentally flawed” and devoid of truth. 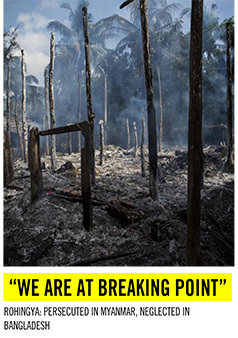 We are not surprised that the government’s commission denies “crimes against humanity and ethnic cleansing” against the Rohingya people, where Myanmar military and security forces were the perpetrators. We reiterate that the commission lacked independence and proper mandate; its members are not impartial or competent; it fails to provide adequate and effective protection for witnesses; and it has not given any consideration to the independent expert’s recommendations. The report neither provides accountability nor reconciliation but impunity. It, in fact, is a blatant disregard of the human rights of the victims. 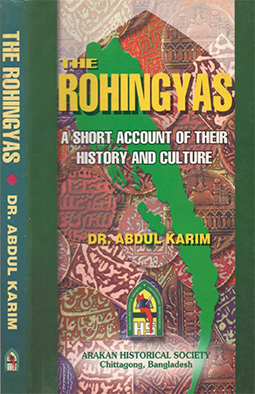 Under international conventions and customary international law, the government of Daw Aung San Suu Kyi has primary responsibility to protect the Rohingya population; to make accountable those responsible for acts of genocide, crimes against humanity and ethnic cleansing against them, and to ensure their right to effective remedy. But the commission and its report is a ploy by the Myanmar government to prevent an independent international investigation to deliver justice, truth and full reparations for the victims. 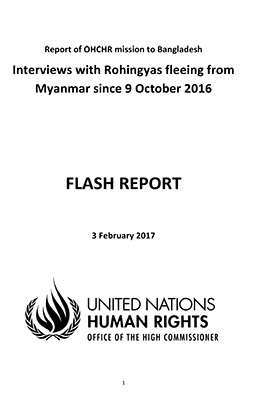 The UN Fact-Finding mission is credible alternative to highly flawed and bias Maungdaw Investigation Commission’s report and is crucial for accountability efforts. The defenceless Rohingyas should not face discrimination or violence because of their ethnic background or religious belief.